Ifeoma: I am from the Eastern part of Nigeria, West Africa. Copa: What enfluenced you to be interested in the world of Fashion Design? ​Ifeoma: As a little girl and being the last child out of eight children, I often sat and watch my mom make blouses for herself or do alterations for whatever it was that my dad needed altered. The vibrant colors and the rich textures of the fabrics got me mesmerized that before you knew it I was hand stitching doll dresses for my dolls and driving my mom bunkers with my gazillion questions. Copa: Please describe some of your earlier creations? ​Ifeoma: My very first creation apart from my doll dresses was a dress that I hand stitched for my niece, I was in middle school at this time. It was a Mary Jane dress that I made with some left-over fabric from my mom and I remember that I made the buffy sleeves and two front pockets with lace. Fast forward to some years later right after college, when I designed my own wedding dress. It was a straight open back dress, made with Guipure Lace and I hand beaded it with pearls and then had a full Cinderella detachable skirt which inspired me to open the first Black Bridal Store in London, England. Copa: What is your philosophy to your signature style? ​Ifeoma: Hmmm, incorporate the three Continents that I have grown up in – Africa, Europe and North America, push beyond the boundaries of the fashion norm and have all my dresses with pockets, this last part comes from the fact that most ladies dresses do no have pockets whilst Menswear all have pockets and this comes from the notion that back in the day women stayed at home and men were the ones that had jobs and businesses. Now women are business owners, women have jobs therefore we need pockets to put our business cards like men plus our lip glosses! Copa: Would you like to share your opinion of contemporary fashion and style? ​Ifeoma: I have no problem with contemporary fashion or style. It actually makes the fashion industry a level plain ground. One can wear a good label, great design without breaking the bank. I honestly believe that fashion should not have any borders. Copa: What does Clyopatra Couture mean to you? ​Ifeoma: Clyopatra Couture means living and utilizing my God given talent. I left fashion after we relocated to the States from London and I went into healthcare which was great but the loss of my two brothers and a dear friend woke me up to the fact that one must live their dream and pursue their passion hence Clyopatra Couture. It’s a personal thing to me which is why I gave it my Middle name – CLYOPATRA. 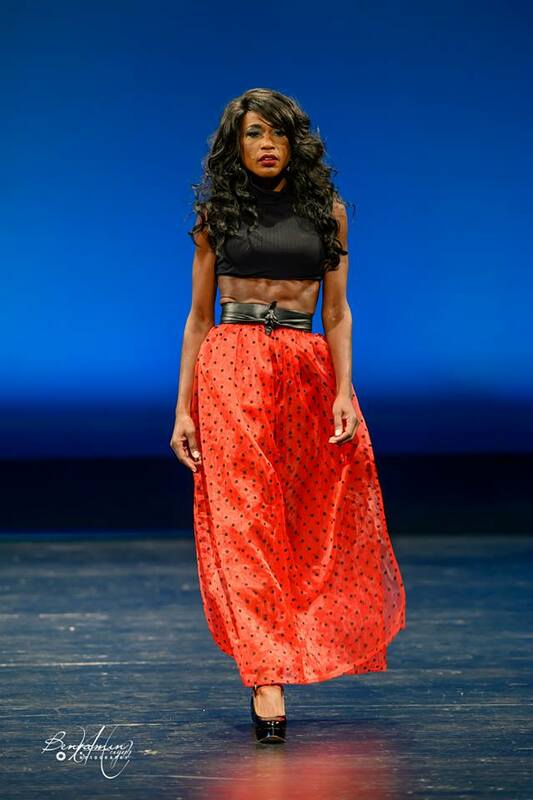 Copa: How would you describe your latest showing in “The Art of Fashion Runway Show” at the Montgomery College Theater of Culture in Silver Spring on 1/27/19? ​Ifeoma: Amazing! I debuted Phase 1 of my new collection The Culture Collection and the fact that the organizer is a good friend of mine, made it a joy for me. Copa: What does the future hold for Ifeoma Onyia and Clyopatra Couture? I leave that in the hands of God. I believe that HE has great promises for Clyopatra Couture so we just have to sit back, work had and allow HIM to bless the efforts.